A Sunflower Life: French Soda Bread? 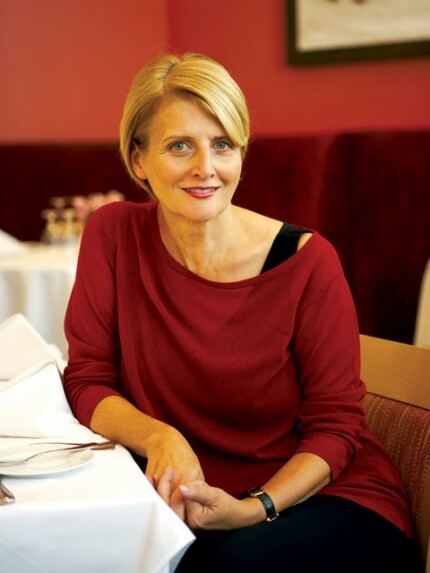 So what does soda bread have to do with Dorothy Hamilton, the founder of The French Culinary Institute and this week’s selection from the Gourmet Live list of 50 Women Game-Changers in the food world? Stick with me and I’ll explain, though this is the first week since I joined the group of food bloggers who are paying tribute to the list by posting a recipe from each woman on Fridays that the person we are acknowledging doesn’t have a lot of recipes from which to select. It seems that Ms. Hamilton was so busy establishing one of the world’s most premier culinary schools, which has evolved from The French Culinary Institute she stared in 1984 to the current International Culinary Center, that she didn’t have time to write a cookbook! I guess building culinary programs in New York, San Francisco, and Italy tends to keep a person busy, not to mention winning awards such as a Silver Spoon award from Food Arts magazine; the 2006 and 2010 IACP Award of Excellence for Vocational Cooking School; Chevalier du Mérite Agricole (Agricultural Merit Knighthood) from the French government; a knighting by the Association Internationale de Maîtres Conseil dans la Gastronomie Française; the Outstanding American Educator Award from Madrid Fusion, the Diplôme d’Honneur of the Vatel Club des Etats-Unis, and Dame de l’Anée of the Académie Culinaire de France in 2006. What’s a food blogger to do when her subject was too busy training exceptional chefs to write down some recipes? (There are a few out there, but not many.) Well, this food blogger turned to a member of the FCI’s faculty. I first heard about FCI as a fan of chef Jacques Pepin. He is the Dean of Special Programs and considered one of the best known culinary teachers in the world. Preheat the oven to 425 degrees. Reserve 1 teaspoon of the flour, and combine the remaining flour with the salt and baking powder in a large mixing bowl. Add the milk, and mix gently and quickly with a wooden spatula until the mixture forms into a solid mass. Oil an aluminum nonstick baking sheet with the canola oil, and place the dough on the sheet. Using a piece of plastic wrap, press and mold the dough to create a round loaf about 7 inches in diameter and 1 inch thick. Sprinkle the reserved teaspoon of flour on top of the load and, using a serrated knife, make two intersecting 1/4-inch-deep cuts across the top surface of the loaf to create a cross. I have been searching for a good French Onion soup for which this soda bread would be the perfect bread for sopping up of the juices! Your soda bread sounds fantastic - it is ironic that Dorothy Hamilton doesn't have a cookbook isn't it? I too had a difficult time finding a recipe. Mmmm - soda bread. Love it and can't wait to try this recipe. I had no idea that soda bread could look like this, what a crust, and it rose so well. I will definitely try this for my next soup night. I just made this bread. It's delicious. It has a dense texture, almost like a pretzel, but a thick, crunchy crust. Totally delish for a quick, no yeast dough! I know, Kris. Isn't this bread great! It is my go-to recipe when I need bread fast. I never thought out pretzel like it was until you mentioned it. Why is baking powder used if its called soda bread? Do the French mean baking soda? Should we use both? Traditional Irish soda bread is made with buttermilk and baking soda, which together give the dough it's lift during baking. Chef Pepin decided to use milk and baking powder to get the same results. If you want to make this recipe the traditional way, just substitute buttermilk for the milk and baking soda for the baking powder.